Dr. Navarro received his Doctor of Dental Surgery in 1985 from SUNY Stony Brook, graduating valedictorian.He completed his post-graduate studies at Booth Memorial Medical Center. Active member of the ADA, AACD, AGD, IAD, LPW, AAFE, NYSDA & SCDS. All continuing education is top priority for Dr. Navarro and his staff. 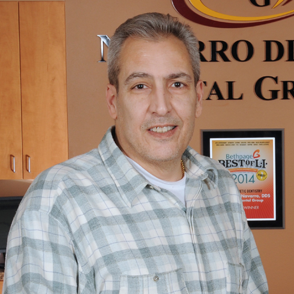 Dr. Navarro has been practicing for over 30 years. Dr. Navarro was voted Long Island’s Best Cosmetic Dentist for 2014 and featured in Cosmopolitan Magazine for Outstanding Cosmetic Dentists of New York. Dr. Navarro believes in providing five-star quality care in a comfortable and pleasant environment. He maintains the most modern, high technology facility in order to provide his cosmetic dentistry patients with superior results and more comfortable treatment. The end result is a beautiful and natural appearing smile that will bring out the confidence and self-esteem you have always wanted as you achieve both personal and career success. 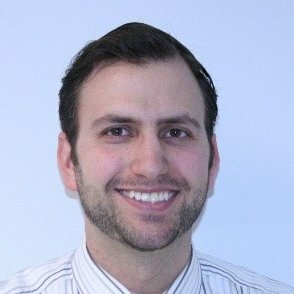 Dr Mikhli is originally from Cleveland, Ohio. He completed his undergraduate studies at Yeshiva University where he received his BA in Economics. Dr Mikhli went on to study at Stony Brook School of Dental Medicine where he was awarded his DDS. He furthered his training with a General Practice Residency at New York Hospital of Queens. Dr Mikhli continued at NYHQ for a Fellowship in Oral and Maxillofacial Surgery/Implantology. The program focused on both the surgical and prosthetic aspects of implant dentistry, giving Dr Mikhli a unique perspective of the final restoration prior to the surgical treatment. Dr. Mikhli is a member of the American Dental Association, the Academy of General Dentistry, and the International Congress of Oral Implantologists. Dr Mikhli lectures extensively on various topic related to dental implants to his colleagues. He also teaches beginner courses to dentists interested in learning how to perform implant surgery and restorations.